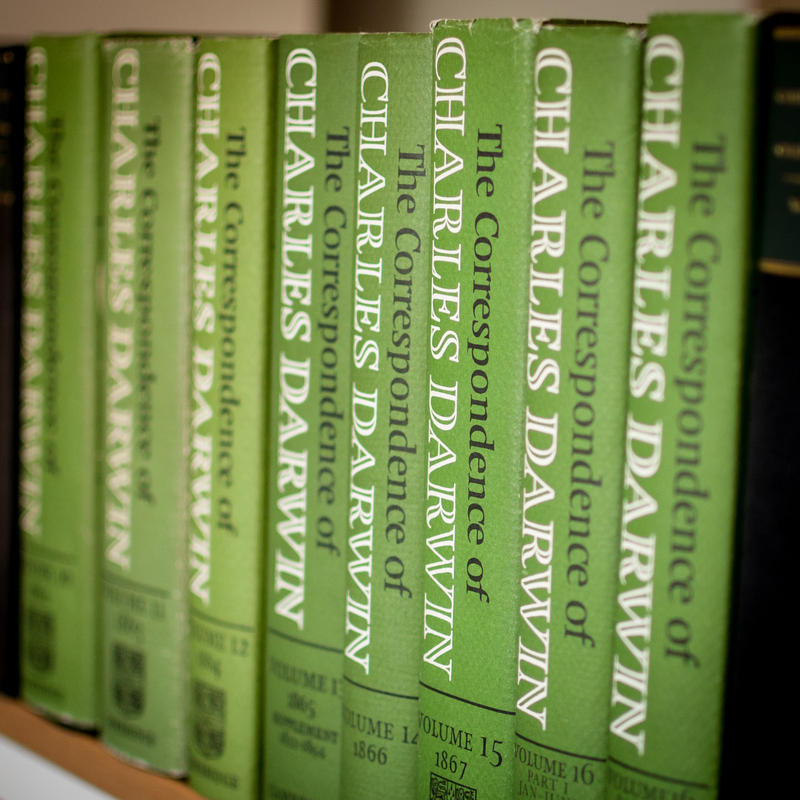 The correspondence of Charles Darwin (F. Burkhardt, et al.eds, Cambridge University Press 1985–) is the definitive edition of all known surviving letters – more than 15,000 – written by and to Charles Darwin. It is an important source for students and researchers in history, history of science, literature, philosophy, sociology, and the natural sciences. Notes and appendixes put the letters in context, explain references, identify people, and provide information on related published work, making the letters accessible not only to historians and scientists but also to general readers. Complete transcripts of all the letters are being published in chronological order. When complete the edition will comprise thirty volumes. The full texts of the letters and the footnotes are also being made available through this website and are added to the site on a rolling programme four years after print publication. The introductions to the published volumes form the basis to the 'Darwin's life in letters' pages.